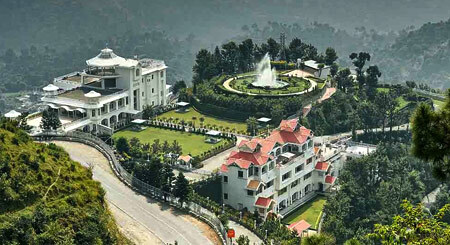 You have known Club Mahindra as a family brand which provides holidays for life time. Now Club Mahindra also believes that people, to any organization, are the most critical factor in ensuring success. Keeping this in mind, Fundays, as a concept, was developed as the best reward any employee could ever get from their organization to strike their work-life balance and to be at their productive best. It has always been the most favoured non-monetary reward and recognition benefit according to employees and it might just be the motivation, your team needs! Club Mahindra Fundays brings to you the power and flexibility to help you customize family holidays for your employees and associates very easily. Planning for and making sure that everyone on your team gets the holiday they most want is both a complex and time-consuming task. Is there an easier way to do it? Club Mahindra Fundays is your answer! 1-Club Mahindra Fundays is simple. It is based on a world-class points system, which makes it flexible and customizable to your every need. 2-Club Mahindra Fundays is scalable. Add points, upgrade your membership and fight inflation. All this is possible, only with a Club Mahindra Fundays Membership. 3-Club Mahindra Fundays gives you more. 50+ resorts, across India and abroad, access to over 4300 RCI affiliated resorts across the globe, a one-point contact and dedicated relationship manager, travel services, and more. For reservations and other queries, please write to us at Fundays@clubmahindra.com or call on 1860 210 8888 | Business Timings: 9.30 AM to 6.00 PM, Monday through Saturday. 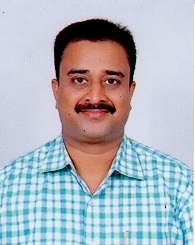 Ajay Kumar is the Chairman and Managing Director of Vaishnovi Versatile Ventures Private Limited. He has more than 15 years of experience in construction, real estate & softw are technology services. Ajay’s project book currently showcases 6 mega ventures in real estate – each one of them a landmark project with immense story value for visitors and guests. He is also the creative force and catalyst behind the Devlok Project. The Devlok project could easily be India’s most unique religious theme park in terms of scale, composition and depth of experience – encompassing the visitor’s need for devotion, leisure, business tourism, recreation, entertainment and health care. This could soon be a popular annual destination for the spiritually inclined. We are confident that our project will attract a wide cross section of tourists – devotees, school and college students, large families, residential communities, corporate houses and NRIs. The key property under mixed-use for timeshare and open-booking customers is Pushpaka Vimanam – a 5-star Hotel with 275 keys – including premium rooms, club suites and presidential suites. This project also has the Hari Om International Convention Center – with a 2000-delegate capacity. Other highlights include a Banquet Hall – with a 1000-guest capacity, Dhanvantari Ayurvedic Village and themed restaurants.